Two little owl chicks (owlets) peer out from their nest hole in an old hollow oak tree. I just loved watching (and photographing) these little owlets, their faces are so expressive and their head bobbing so comical as they gaze at my lens from different angles to work out what it is. 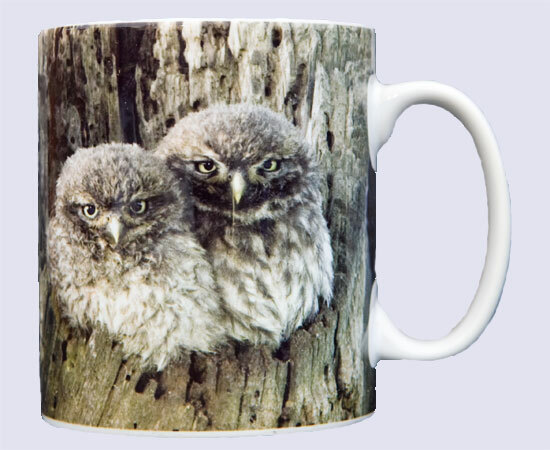 As you will see on the mug photo their camouflage is fantastic and those yellow eyes totally captivating. Visit my birds gallery to see more little owl photos.